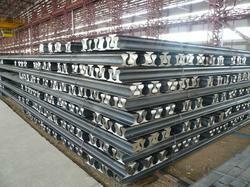 To keep the client satisfied, we export, import, trade & supply high quality EOT Crane Rails. Being a quality-oriented organization, we assure our clients that these products are the best in quality. Our vendor’s skilled professionals only utilize fine quality raw material, while manufacturing the entire range. Moreover, our offered range can be availed in a wide range of sizes and shapes, as per the requirements of our esteemed clients. 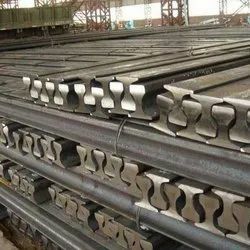 Manufactured by updated machinery, and modern technology at vendor’s ultra-modern manufacturing unit, we are offering a distinguished range Heavy Duty Crane Rail. While manufacturing, we used the high quality raw material and modern technology for high durability and robust construction of our products. Apart from this, we deliver the entire range to our end user after testing properly various parameters. Clients can avail the offered range from us at industry leading prices. We are an eminent entity engaged in offering an extensive range of quality assured Crane Rail. Owing to features like durability and excellent quality, the offered range is extensively demanded in the market. A team of vendor’s adept professionals, with hard-earned experience manufacture the offered range using high grade raw material. The offered range is available with us in various sizes, thickness and other related specifications. We are involved in offering a wide range of ISCR Standard Crane Rail to our valuable clients. These products are manufactured using the optimum grade raw material and cutting edge technology under the supervision of vendor’s skilled professionals. Furthermore, the product offered by us is tested by quality controllers to ensure the defect free delivery to our clients. In addition to this, the prestigious clients can avail this product from us at the most leading price. Looking for Crane Rail ?